Jayadevan, V. T., Rodriguez, J. J., & Cronin, A. D. (2015). A New Contrast-Enhancing Feature for Cloud Detection in Ground-Based Sky Images.. J. Atmos. Oceanic Technol. , 32, 209--219. Hromada, I., Trubko, R., Holmgren, W. F., Gregoire, M. D., & Cronin, A. D. (2014). De Broglie wave-front curvature induced by electric-field gradients and its effect on precision measurements with an atom interferometer. Physical Review A - Atomic, Molecular, and Optical Physics , 89(3). Abstract: To improve precision measurements made with atom interferometers, the effect of de Broglie wave-front curvature induced by a lens inside an atom interferometer is experimentally demonstrated and theoretically analyzed. Electrostatic lenses shift, magnify, and distort atom interference fringes, which modifies the phase and the contrast of the interference signals. Informed by these observations, an improved method is presented for analyzing measurements of atomic beam velocity distributions using phase choppers [W. F. Holmgren, I. Hromada, C. E. Klauss, and A. D. Cronin, New J. Phys. 13, 115007 (2011)NJOPFM1367-263010.1088/1367-2630/13/11/115007]. © 2014 American Physical Society. Brooks, A. E., Dellagiustina, D. N., Patterson, S. M., & Cronin, A. D. (2013). The consequence of soiling on PV system performance in Arizona; Comparing three study methods. Conference Record of the IEEE Photovoltaic Specialists Conference , 754-758. Abstract: We study the consequence of soiling on different flat-plate photovoltaic modules in Tucson, Arizona. We compare three different methods of study. These methods include (1) a comparison of energy yields between strings of PV modules, held at MPP, that are regularly cleaned and naturally soiled, (2) measurement I-V curves from individual PV modules in the field before and after cleaning, and (3) measurement I-V curves from individual PV modules in the laboratory before and after cleaning using a flash tester. All methods indicate an approximate 1% performance enhancement from cleaning. Laboratory I-V curve measurements provide the most precise results. © 2013 IEEE. Brooks, A. E., Fijal, J., Germaine, M. T., Orsburn, S., Greenberg, J., Lonij, V. P., Dellagiustina, D. N., & Cronin, A. D. (2013). Conversion efficiencies of six grid-tied inverters at the Tucson electric power solar test yard. Conference Record of the IEEE Photovoltaic Specialists Conference , 2853-2856. Abstract: We measure the conversion efficiencies of six inverters manufactured by Fronius, SMA, and Xantrex. We measure efficiencies ranging from 87.0% to 91.7%. We find differences between manufacturers' specified efficiency and field performance of -3.8% and -6.0% Inverter efficiencies are also studied as a function of global horizontal irradiance and ambient temperature. © 2013 IEEE. Brooks, A., Allen, N., Lonij, V., & Cronin, A. (2013). Evaluation of Four Geomembrane-Mounted PV Systems for Land Reclamation in Southern Arizona. Journal of Energy and Power Engineering , 7. Cormode, D., Cronin, A. D., Richardson, W., Lorenzo, A. T., Brooks, A. E., & Dellagiustina, D. N. (2013). Comparing ramp rates from large and small PV systems, and selection of batteries for ramp rate control. Conference Record of the IEEE Photovoltaic Specialists Conference , 1805-1810. Abstract: We compare the AC power fluctuations from a 1.6 MW and a 2 kW photovoltaic (PV) system. Both of these PV generating stations exhibit fluctuations exceeding 50% of their rated capacity in under 10 seconds. The smaller system can fluctuate more rapidly, exhibiting 50% dropouts in 3 seconds. Although the MW-scale system covers 4000 times as much ground area, the bandwidth of the fluctuations is remarkably similar. We explore explanations for this observation, and we discuss the impact of this on battery sizing. © 2013 IEEE. Cronin, A. D., & Holmgren, W. F. (2013). Quantum interferometry: Matter waves in a new light. Nature Physics , 9(3), 137-138. Cronin, A., Cronin, A., Pulver, S., Pulver, S., Cormode, D., Cormode, D., Jordan, D., Jordan, D., Kurtz, S., Kurtz, S., Smith, R., & Smith, R. (2013). Measuring degradation rates of PV systems without irradiance data. Progress in Photovoltaics: Research and Applications . Abstract: A method to report photovoltaic (PV) system degradation rates without using irradiance data is demonstrated. First, a set of relative degradation rates are determined by comparing daily AC final yields from a group of PV systems relative to the average final yield of all the PV systems. Then, the difference between relative and absolute degradation rates is estimated using a Bayesian statistical analysis. This approach is verified by comparing to methods that utilize irradiance data. This approach is significant because PV systems are often deployed without irradiance sensors, so the analysis method described here may enable measurements of degradation using data that were previously thought to be unsuitable for degradation studies. © 2013 John Wiley & Sons, Ltd.
DellaGiustina, D. N., Brooks, A. E., Germaine, M. T., Patterson, S. M., & Cronin, A. D. (2013). Characterization and use of a sinton FMT-350 flash tester at the tucson electric power solar test yard. Optics InfoBase Conference Papers . Abstract: We characterize a Sinton Instruments FMT-350 module I-V flash tester using NREL primary calibration reference modules. We use the FMT-350 to measure the effect of soiling and light induced degradation on PV modules. Renewable Energy and the Environment Congress. © 2013. Lonij, V. P., Brooks, A. E., Cronin, A. D., Leuthold, M., & Koch, K. (2013). Intra-hour forecasts of solar power production using measurements from a network of irradiance sensors. Solar Energy , 97, 58-66. Abstract: We report a new method to forecast power output from photovoltaic (PV) systems under cloudy skies that uses measurements from ground-based irradiance sensors as an input. This work describes an implementation of this forecasting method in the Tucson, AZ region where we use 80 residential rooftop PV systems distributed over a 50. km. ×. 50. km area as irradiance sensors. We report RMS and mean bias errors for a one year period of operation and compare our results to the persistence model as well as forecasts from other authors. We also present a general framework to model station-pair correlations of intermittency due to clouds that reproduces the observations in this work as well as those of other authors. Our framework is able to describe the RMS errors of velocimetry based forecasting methods over three orders of magnitude in the forecast horizon (from 30. s to 6. h). Finally, we use this framework to recommend optimal locations of irradiance sensors in future implementations of our forecasting method. © 2013 Elsevier Ltd.
Brooks, A. E., Allen, N., Lonij, V. P., & Cronin, A. D. (2012). Evaluation of four geomembrane-mounted PV systems for land reclamation in Southern Arizona. Conference Record of the IEEE Photovoltaic Specialists Conference , 520-525. Abstract: We describe four different photovoltaic (PV) systems that are deployed around Tucson Arizona on geomembranes to test the feasibility of converting mine tailings and landfills into solar energy generating sites. Differences between these deployed systems include: two types of geomembrane materials, two different module anatomies, and two different locations. We explain the different module mounting techniques that are unique to mine tailing sites. We also describe several failures that occurred during the first two years of operation. We present and validate predictions for the operating temperature of these systems and their associated electrical performance. We find PV modules mounted on light-colored thermoplastic with shielded wiring operate at lower temperatures, are more structurally stable, and have fewer wiring failures. © 2012 IEEE. Brooks, A., Lonij, V., Cronin, A., Kostuk, R., Russo, J., Shang, D., & Vorndran, S. (2012). One year of field studies of holographic planar concentrators at the Tucson Electric Power solar test yard. Proceedings of American Solar Energy Society (ASES) meeting , 8. Cronin, A., Holmgren, W. F., Trubko, R., Hromada, I., & Cronin, A. D. (2012). Measurement of a wavelength of light for which the energy shift for an atom vanishes. Physical review letters , 109(24). Light at a magic-zero wavelength causes a zero energy shift for an atom. We measured the longest magic-zero wavelength for ground state potassium atoms to be λ(zero)=768.9712(15) nm, and we show how this measurement provides an improved experimental benchmark for atomic structure calculations. This λ(zero) measurement determines the ratio of the potassium atom D1 and D2 line strengths with record precision. It also demonstrates a new application for atom interferometry, and we discuss how decoherence will fundamentally limit future measurements of magic-zero wavelengths. Hidalgo-Gonzalez, P. L., Brooks, A. E., Kopp, E. S., Lonij, V. P., & Cronin, A. D. (2012). String-Level (kW-scale) IV curves from different module types under partial shade. Conference Record of the IEEE Photovoltaic Specialists Conference , 1442-1447. Abstract: Partial shade is known to cause significant de-rating for most photovoltaic (PV) systems. However, the specific de-rating due to partial shade from differently shaped objects like overhead wires is not well known. We present current-voltage (I-V) curves from three different strings containing 4 to 9 PV modules while applying various types of partial shade, including shade from electrical cables in front of the modules. We show that a 1-kW string of nine poly-Silicon modules manufactured by Sharp can have a power loss of 13% due to shading just 1% of its surface area. We verify that blocking columns of cells in a module has less impact on power loss than blocking rows. This demonstrates how the non-linear response to partial shade can depend on the placement of bypass diodes that isolate different sub-strings within each module. Furthermore, we quantify the reduction in power and I-V parameters caused by shade from wires (or PVC pipes in our experiments). © 2012 IEEE. Hidalgo-Gonzalez, P., Brooks, A., Kopp, E., Lonij, V., & Cronin, A. (2012). String-level (Kw-scale) IV curves from different types of PV modules under partial shade. Proceedings of IEEE Photovoltaics Specialists Conference , 6. Holmgren, W. F., Trubko, R., Hromada, I., & Cronin, A. D. (2012). Measurement of a wavelength of light for which the energy shift for an atom vanishes. Physical Review Letters , 109(24). Abstract: Light at a magic-zero wavelength causes a zero energy shift for an atom. We measured the longest magic-zero wavelength for ground state potassium atoms to be λzero=768.9712(15) nm, and we show how this measurement provides an improved experimental benchmark for atomic structure calculations. This λzero measurement determines the ratio of the potassium atom D1 and D2 line strengths with record precision. It also demonstrates a new application for atom interferometry, and we discuss how decoherence will fundamentally limit future measurements of magic-zero wavelengths. © 2012 American Physical Society. Holmgren, W., Trubko, R., Hromada, I., & Cronin, A. (2012). Measurement of a magic zero wavelength. ArXive 1209.4653 . Hromada, I., Trubko, R., Holmgren, M., Gregore, M., & Cronin, A. (2012). Atom optical shop testing of electrostatic lenses with an atom interferometer. ArXive 1312.1315 . Jayadevan, V., Rodriguez, J., Lonij, V., & Cronin, A. (2012). Forecasting solar power intermittency using ground-based cloud imaging. Proceedings of American Solar Energy Society meeting , 7. Kopp, E. S., Lonij, V. P., Brooks, A. E., Hidalgo-Gonzalez, P. L., & Cronin, A. D. (2012). I-V curves and visual inspection of 250 PV modules deployed over 2 years in tucson. Conference Record of the IEEE Photovoltaic Specialists Conference , 3166-3171. Abstract: To study degradation of PV systems, we measured current-voltage (I-V) curves from 250 modules that have been deployed in grid-tied systems for 2 to 12 years in Arizona. We also documented visual signs of weathering. The I-V curves exhibit a variety of imperfections and considerable dispersion of Pmax values. Although many of these modules appear weathered, we found few significant correlations between visible signs of weathering and lower Pmax values, and the most degraded modules have no correlation between visual defects and performance. This indicates that important forms of degradation can remain hidden to the eye. © 2012 IEEE. Kopp, E., Hidalgo-Gonzalez, P., Brooks, A., Lonij, V., & Cronin, A. (2012). I-V curves from 300 modules deployed over 5-years in Tucson. Proceedings of IEEE Photovoltaics Specialists Conference , 6. Lonij, V. P., Brooks, A. E., Greenberg, J., Orsburn, S., Cronin, A. D., & Torres, G. (2012). Field performance measurements of new and traditional PV technologies. World Renewable Energy Forum, WREF 2012, Including World Renewable Energy Congress XII and Colorado Renewable Energy Society (CRES) Annual Conferen , 1, 342-348. Abstract: At the Tucson Electric Power (TEP) Solar Test Yard, over 20 different grid-connected PV systems are being tested. The systems include flat-plate PV like Sunpower, Sharp, Unisolar, Sanyo, Shell, Evergreen, and Petra Solar. Performance of several of these systems has been recorded since 2003. Since then, concentrating PV modules have been also deployed at the TEP test yard, including systems from Solyndra, Prism Solar Technologies Inc., Skyline Inc., Semprius Inc, and Green Volts Inc. We discuss recent upgrades to the TEP Solar Test Yard and how these upgrades have improved our measurements. We present preliminary measurements of final yields, performance ratios, temperature de-ratings and degradation rates for the period 2009-2011. Measured final yields are compared to predictions from PVwatts and PVsyst. Lonij, V. P., Brooks, A. E., Koch, K., & Cronin, A. D. (2012). Analysis of 80 rooftop PV systems in the Tucson, AZ area. Conference Record of the IEEE Photovoltaic Specialists Conference , 549-553. Abstract: We present field performance measurements of 80 rooftop systems in the Tucson, AZ region. We describe a framework that enables identification the causes of system performance variations. We can distinguish between shading, module orientation, outages, and weather conditions from the performance data alone, i.e., without physical inspection of the system. The modules used in the systems that we study are predominantly from 2 manufacturers: Sunpower and Schott, with two types of modules from each manufacturer. We show that the variation in system performance due to these four module types is smaller than the variations due to other system-level effects. We discuss the distribution of de-ratings due to shading, and de-ratings due to clouds, as well as the significance and duration of outages. We also examine the effect of system age on annual final yields. © 2012 IEEE. Lonij, V., Brooks, A., Greenberg, J., Orsburn, S., Cronin, A., & Torres, G. (2012). Field performance measurements of new and traditional PV technologies. Proceedings of American Solar Energy Society (ASES) meeting , 8. Lonij, V., Brooks, A., Koch, K., & Cronin, A. (2012). Analysis of 100 rooftop PV systems in the Tucson, AZ area. Proceedings of IEEE Photovoltaics Specialists Conference , 6. Lonij, V., Jayadevan, V., Brooks, A., Koch, K., Leuthold, M., & Cronin, A. (2012). Improving forecasts of PV power output using real-time measurements of PV output of 100 residential PV installs. Proceedings of IEEE Photovoltaics Specialists Conference , 6. Russo, J., Zhang, D., Gordon, M., Vorndran, S., Castillo, J., Brooks, A., Lonij, V., Cronin, A., & Kostuk, R. (2012). Characterization of diffuse anisotropic illumination effects to the output of bifacial and holographic planar concentrating photovoltaic panel configurations. Proceedings of IEEE Photovoltaics Specialists Conference , 6. Cronin, A. D., Brooks, A., Cormode, D., Hardesty, G., & P., V. (2011). Performance reviews from the Tucson Electric Power solar test yard. Conference Record of the IEEE Photovoltaic Specialists Conference , 002351-002356. Abstract: At the Tucson Electric Power (TEP) solar test yard, over 20 different grid-connected PV systems are being tested. Most of these PV systems are in the 1 to 2 kW range. We present measured conversion efficiencies, final yields, performance ratios, temperature de-ratings and degradation rates for 20 PV systems. The final yields are also compared to predictions from PVwatts and PVsyst. The systems include flat plate PV modules from Sunpower, Sharp, BP, Uni-solar Sanyo, Shell, Astropower, Solarex, and Evergreen Solar. The performance of several of these flat plate PV systems has been recorded starting in 2003. Since then, several types of concentrating PV modules have been also deployed at the Tucson Electric Power solar test yard, including modules from Solyndra, Prism Solar Technologies Inc., Skyline Inc., and Semprius Inc. At the same location Solon Corporation is testing several flat plate modules with 1-axis and 2-axis trackers. © 2011 IEEE. Cronin, A., Lonij, V. P., Klauss, C. E., Holmgren, W. F., & Cronin, A. D. (2011). Can atom-surface potential measurements test atomic structure models?. The journal of physical chemistry. A , 115(25). van der Waals (vdW) atom-surface potentials can be excellent benchmarks for atomic structure calculations. This is especially true if measurements are made with two different types of atoms interacting with the same surface sample. Here we show theoretically how ratios of vdW potential strengths (e.g., C₃(K)/C₃(Na)) depend sensitively on the properties of each atom, yet these ratios are relatively insensitive to properties of the surface. We discuss how C₃ ratios depend on atomic core electrons by using a two-oscillator model to represent the contribution from atomic valence electrons and core electrons separately. We explain why certain pairs of atoms are preferable to study for future experimental tests of atomic structure calculations. A well chosen pair of atoms (e.g., K and Na) will have a C₃ ratio that is insensitive to the permittivity of the surface, whereas a poorly chosen pair (e.g., K and He) will have a ratio of C₃ values that depends more strongly on the permittivity of the surface. Ghosal, K., Burroughs, S., Lilly, D., Gabriel, J., Cronin, A., Brooks, A., Lonji, V., Krause, P., Fiedler, M., Lindsey, C., & Metzger, S. (2011). On-sun performance of a novel microcell based HCPV system based in Tuscon and comparison with conventional systems. Conference Record of the IEEE Photovoltaic Specialists Conference , 000978-000983. Abstract: On sun performance data for a 1 kW HCPV RD&D system is presented. The HCPV modules are fabricated with transfer printed micro-cells that operate at a concentration of 1000 suns. This system, installed in Tucson, AZ, is the first field validation of this novel approach that addresses the cost, performance and reliability aspects of HCPV systems. The performance of the Semprius HCPV system is compared with that of alternative PV systems, also being tested at the same location. Finally, current developments on Semprius' technical roadmap are described. © 2011 IEEE. Holmgren, W. F., Hromada, I., Klauss, C. E., & Cronin, A. D. (2011). Atom beam velocity measurements using phase choppers. New Journal of Physics , 13. Abstract: We describe a new method to measure atom beam velocity in an atom interferometer using phase choppers. Phase choppers are analogous to mechanical chopping discs, but rather than being transmitted or blocked by mechanical choppers, an atom receives different differential phase shifts (e.g. zero or φ radians) from phase choppers. Phase choppers yield 0.1% uncertainty measurements of beam velocity in our interferometer with 20 min of data and enable new measurements of polarizability with unprecedented precision. © IOP Publishing Ltd and Deutsche Physikalische Gesellschaft. Lepoutre, S., Lonij, V. P., Jelassi, H., Trénec, G., Büchner, M., Cronin, A. D., & Vigué, J. (2011). Atom interferometry measurement of the atom-surface van der Waals interaction. European Physical Journal D , 62(3), 309-325. Abstract: Using a nano-scale grid as a phase-shifting component, an atom interferometer has been utilized to study atom-surface van der Waals (VdW) interactions. We report phase shifts on the order of 0.2 rad, with a few percent uncertainty. We also report the velocity-dependent attenuation of atomic de Broglie wave amplitude that occurs in conjunction with the observed phase shifts. From these data we deduce the strength of the VdW potential and its dependence on the atom-surface separation. We discuss how our measurements can be used to set limits on the strength of non-Newtonian gravity at short length scales and we discuss the possibility of measuring the atom-surface interactions over a larger range of atom-surface distances. We also compare our results to several theoretical predictions for the VdW potential of Li near a variety of surfaces. © EDP Sciences, Società Italiana di Fisica, Springer-Verlag 2011. P., V., Klauss, C. E., Holmgren, W. F., & Cronin, A. D. (2011). Can atom-surface potential measurements test atomic structure models?. Journal of Physical Chemistry A , 115(25), 7134-7140. PMID: 21604727;Abstract: van der Waals (vdW) atom-surface potentials can be excellent benchmarks for atomic structure calculations. This is especially true if measurements are made with two different types of atoms interacting with the same surface sample. Here we show theoretically how ratios of vdW potential strengths (e.g., C3 K/C3Na) depend sensitively on the properties of each atom, yet these ratios are relatively insensitive to properties of the surface. We discuss how C3 ratios depend on atomic core electrons by using a two-oscillator model to represent the contribution from atomic valence electrons and core electrons separately. We explain why certain pairs of atoms are preferable to study for future experimental tests of atomic structure calculations. A well chosen pair of atoms (e.g., K and Na) will have a C 3 ratio that is insensitive to the permittivity of the surface, whereas a poorly chosen pair (e.g., K and He) will have a ratio of C3 values that depends more strongly on the permittivity of the surface. © 2011 American Chemical Society. Cronin, A., Lonij, V. P., Klauss, C. E., Holmgren, W. F., & Cronin, A. D. (2010). Atom diffraction reveals the impact of atomic core electrons on atom-surface potentials. Physical review letters , 105(23). We measured ratios of van der Waals potential coefficients (C3) for different atoms (Li, Na, K, and Rb) interacting with the same surface by studying atom diffraction from a nanograting. These measurements are a sensitive test of atomic structure calculations because C3 ratios are strongly influenced by core electrons and only weakly influenced by the permittivity and geometry of the surface. Our measurement uncertainty of 2% in the ratio C(3)(K)/C(3)(Na) is close to the uncertainty of the best theoretical predictions, and some of these predictions are inconsistent with our measurement. Holmgren, W. F., Holmgren, W. F., Revelle, M. C., Revelle, M. C., P., V., P., V., Cronin, A. D., & Cronin, A. D. (2010). Absolute and ratio measurements of the polarizability of Na, K, and Rb with an atom interferometer. Physical Review A - Atomic, Molecular, and Optical Physics , 81(5). Abstract: We measured the ground-state electric-dipole polarizability of sodium, potassium, and rubidium using a Mach-Zehnder atom interferometer with an electric-field gradient. We find αNa=24.11(2)stat(18)sys×10 -24cm3, αK=43.06(14)(33), and αRb=47.24(12)(42). Since these measurements were all performed in the same apparatus and subject to the same systematic errors, we can present polarizability ratios with 0.3% uncertainty. We find αRb/αNa=1.959(5), αK/αNa=1.786(6), and αRb/αK=1.097(5). We combine our ratio measurements with the higher-precision measurement of sodium polarizability by Ekstrom [Phys. Rev. APLRAAN1050-294710.1103/PhysRevA.51.3883 51, 3883 (1995)] to find αK=43.06(21) and αRb=47.24(21). © 2010 The American Physical Society. P., V., Klauss, C. E., Holmgren, W. F., & Cronin, A. D. (2010). Atom diffraction reveals the impact of atomic core electrons on atom-surface potentials. Physical Review Letters , 105(23). Abstract: We measured ratios of van der Waals potential coefficients (C3) for different atoms (Li, Na, K, and Rb) interacting with the same surface by studying atom diffraction from a nanograting. These measurements are a sensitive test of atomic structure calculations because C3 ratios are strongly influenced by core electrons and only weakly influenced by the permittivity and geometry of the surface. Our measurement uncertainty of 2% in the ratio C3K/C3Na is close to the uncertainty of the best theoretical predictions, and some of these predictions are inconsistent with our measurement. © 2010 The American Physical Society. Pulver, S., Cormode, D., Cronin, A., Jordan, D., Kurtz, S., & Smith, R. (2010). Measuring degradation rates without irradiance data. Conference Record of the IEEE Photovoltaic Specialists Conference , 1271-1276. Abstract: A method to report photovoltaic (PV) system degradation rates without using irradiance data is demonstrated. First, a set of relative degradation rates are determined by comparing daily AC final yields from a group of PV systems relative to the average final yield of all the PV systems. Then, the difference between relative and absolute degradation rates is found using a Bayesian statistical analysis. This approach is verified by comparing to methods that utilize irradiance data. This approach is significant because PV systems are often deployed without irradiance sensors, so the analysis method described here may enable measurements of degradation using data that were previously thought to be unsuitable for degradation studies. © 2010 IEEE. Thakkar, N., Cormode, D., Lonij, V. P., Pulver, S., & Cronin, A. D. (2010). A simple non-linear model for the effect of partial shade on PV systems. Conference Record of the IEEE Photovoltaic Specialists Conference , 2321-2326. Abstract: The effect of shade from one PV module on another is incorporated into a model for the power generated by PV systems. The model is calibrated with data from the Tucson Electric Power solar test yard. Shade de-rating factors from the model are compared with data every minute of the day and every day of the year. The model is then used to predict final yields (kWh/kWDC) for different PV system deployments with various (non-tracking) module orientations and ground-cover ratios. Several heuristics are put forth to help understand how the observed non-linear response to shade can impact the yield from PV systems. In one example, we find that a PV system deployed in the Tucson Electric Power solar test yard could produce 22% more kWh for the month of December (and 3.8% more annually) if the modules were separated by twice as much distance. In another example, we predict that a system in Tucson with south-facing modules at 12-degrees from horizontal can generate 1.5 times as many kWh/yr per square-meter of land compared to a system with modules at 32-degrees (the latitude angle). These examples emphasize the non-linear impact of partial shade on PV system performance. © 2010 IEEE. Cronin, A. D., Schmiedmayer, J., & Pritchard, D. E. (2009). Optics and interferometry with atoms and molecules. Reviews of Modern Physics , 81(3), 1051-1129. Abstract: Interference with atomic and molecular matter waves is a rich branch of atomic physics and quantum optics. It started with atom diffraction from crystal surfaces and the separated oscillatory fields technique used in atomic clocks. Atom interferometry is now reaching maturity as a powerful art with many applications in modern science. In this review the basic tools for coherent atom optics are described including diffraction by nanostructures and laser light, three-grating interferometers, and double wells on atom chips. Scientific advances in a broad range of fields that have resulted from the application of atom interferometers are reviewed. These are grouped in three categories: (i) fundamental quantum science, (ii) precision metrology, and (iii) atomic and molecular physics. Although some experiments with Bose-Einstein condensates are included, the focus of the review is on linear matter wave optics, i.e., phenomena where each single atom interferes with itself. © 2009 The American Physical Society. Kokorowski, D., Cronin, A., Roberts, T., & Pritchard, D. (2009). From single- to multiple-photon decoherence in an atom interferometer. PHYSICAL REVIEW LETTERS , 86(11), 2191-2195. We measure the decoherence of a spatially separated atomic superposition due to spontaneous photon scattering. We observe a qualitative change in decoherence versus separation as the number of scattered photons increases, and verify quantitatively the decoherence rate constant in the many-photon limit. Our results illustrate an evolution of decoherence consistent with general models developed for a broad class of decoherence phenomena. Lepoutre, S., Jelassi, H., Lonij, V. P., Trénec, G., Büchner, M., Cronin, A. D., & Vigué, J. (2009). Dispersive atom interferometry phase shifts due to atom-surface interactions. Europhysics Letters , 88(2). Abstract: We used the Toulouse atom interferometer to study how Van der Waals (VdW) interactions between atoms and surfaces cause velocity-dependent phase shifts for atomic de Broglie waves. By introducing a thin nano-grating in one branch of this interferometer, we observed a phase shift that depends on velocity to the power -0.49. This dispersion serves to measure both the strength and the position dependence of the atom-surface potential in the range from 5 to 10 nm from the surface, and it can also set new limits on non-Newtonian gravity in the 2 nm range. Copyright © EPLA, 2009. McMorran, B. J., & Cronin, A. D. (2009). An electron Talbot interferometer. New Journal of Physics , 11. Abstract: We report the first demonstration of a Talbot interferometer for electrons. The interferometer was used to image the Talbot carpet behind a nanofabricated material grating. The Talbot interferometer design uses two identical gratings, and is particularly sensitive to distortions of the incident wavefronts. To illustrate this we used our interferometer to measure the curvature of concave wavefronts in a weakly focused electron beam. We describe how this wavefront curvature demagnified the Talbot revivals, and we discuss further applications for electron Talbot interferometers. © IOP Publishing Ltd and Deutsche Physikalische Gesellschaft. P., V., Holmgren, W. F., & Cronin, A. D. (2009). Magic ratio of window width to grating period for van der Waals potential measurements using material gratings. Physical Review A - Atomic, Molecular, and Optical Physics , 80(6). Abstract: We report improved precision measurements of the van der Waals potential strength (C3) for Na atoms and a silicon-nitride (SiNx) surface. We studied diffraction from nanofabricated gratings with a particular "magic" open fraction that allows us to determine C3 without the need for separate measurements of the width of the grating openings. Therefore, finding the magic open fraction improves the precision of C3 measurements. The same effect is demonstrated for a grating with an arbitrary open fraction by rotating it to a particular "magic" angle, yielding C3 =3.42±0.19 eV 3 for Na and a SiNx surface. This precision is sufficient to detect a change in C3 due to a thin metal coating on the grating surface. We discuss the contribution to C3 of core electrons and edge effects. © 2009 The American Physical Society. Jacquey, M., Miffre, A., Trénec, G., Büchner, M., Vigué, J., & Cronin, A. (2008). Dispersion compensation in atom interferometry by a Sagnac phase. Physical Review A - Atomic, Molecular, and Optical Physics , 78(1). Abstract: We reanalyzed our atom interferometer measurement of the electric polarizability of lithium, now accounting for the Sagnac effect due to the Earth's rotation. The resulting correction to the polarizability is very small, but the visibility as a function of the applied phase shift is now better explained. The fact that the Sagnac and polarizability phase shifts are both proportional to v-1, where v is the atom velocity, suggests that a phase shift of the Sagnac type could be used as a counterphase to compensate for the electric polarizability phase shift. This exact compensation opens the way to higher-accuracy measurements of atomic polarizabilities, and we discuss how this can be done in practice and the final limitations of the proposed technique. © 2008 The American Physical Society. McMorran, B., & Cronin, A. (2008). Measurement of electron beam coherence using a Lau interferometer. Microscopy and Microanalysis , 14(SUPPL. 2), 828-829. McMorran, B., & Cronin, A. (2008). Very low energy TEM diffraction of nanostructures. Microscopy and Microanalysis , 14(SUPPL. 2), 824-825. McMorran, B., & Cronin, A. D. (2008). Model for partial coherence and wavefront curvature in grating interferometers. Physical Review A - Atomic, Molecular, and Optical Physics , 78(1). Abstract: We examine how partial coherence and wavefront curvature of beams affect interference fringes behind diffraction gratings. We simulate (1) the Talbot effect, (2) far-field diffraction, (3) Mach-Zehnader interferometers, (4) Talbot-Lau interferometers, and (5) Lau interferometers using a numerically efficient expression. We show how interference fringes in each case depend on the beam's initial width, its coherence width (transverse coherence length), and its wavefront curvature in directions both parallel and perpendicular to the grating bars. The separation between gratings and the rotational alignment of the gratings about the optical axis are also considered. The formula used for our simulations is derived using the mutual intensity function of a Gaussian Schell-model beam. © 2008 The American Physical Society. McMorran, B., Wanegar, D., & Cronin, A. (2008). Low energy electron holography of charged tip. Microscopy and Microanalysis , 14(SUPPL. 2), 350-351. Perreault, J. D., Bhattacharya, M., P., V., & Cronin, A. D. (2008). Modifying atom-surface interactions with optical fields. Physical Review A - Atomic, Molecular, and Optical Physics , 77(4). Abstract: The ability to control matter on the nanometer scale is greatly influenced by the van der Waals (vdW) interaction. Therefore, understanding and manipulating the vdW interaction is of interest to the fields of nanotechnology and atom optics. We show that near-resonant light can significantly modify atom-surface vdW interactions in the nonretarded regime. A theory based on quantized electromagnetic fields is used to calculate (1) the ordinary vdW interaction, (2) corrections to the ordinary vdW interaction due to thermal radiation, and (3) modifications to the ordinary vdW interaction that result from monochromatic (laser) radiation. Near-resonant laser light with an intensity of 5 W/ cm2 is predicted to double the vdW interaction strength for sodium atoms, and possible experiments to detect this effect are discussed. © 2008 The American Physical Society. Carr, A. V., Sechrest, Y. H., Waitukaitis, S. R., Perreault, J. D., P., V., & Cronin, A. D. (2007). Cover slip external cavity diode laser. Review of Scientific Instruments , 78(10). PMID: 17979464;Abstract: A 671 nm diode laser with a mode-hop-free tuning range of 40 GHz is described. This long tuning range is achieved by simultaneously ramping the external cavity length with the laser injection current. The laser output pointing remains fixed, independent of its frequency because of the cover slip cavity design. This system is simple, economical, robust, and easy to use for spectroscopy, as we demonstrate with lithium vapor and lithium atom beam experiments. © 2007 American Institute of Physics. Cronin, A., Carr, A. V., Sechrest, Y. H., Waitukaitis, S. R., Perreault, J. D., Lonij, V. P., & Cronin, A. D. (2007). Cover slip external cavity diode laser. The Review of scientific instruments , 78(10). A 671 nm diode laser with a mode-hop-free tuning range of 40 GHz is described. This long tuning range is achieved by simultaneously ramping the external cavity length with the laser injection current. The laser output pointing remains fixed, independent of its frequency because of the cover slip cavity design. This system is simple, economical, robust, and easy to use for spectroscopy, as we demonstrate with lithium vapor and lithium atom beam experiments. Cronin, A. (2006). Atom optics: Atom interferometry on a chip. Nature Physics , 2(10), 661-662. Abstract: Atom-waves interferometers are becoming ever more compact. A new way of coherently splitting atom waves, based on radiofrequency fields, could extend the capabilities of these miniature atom traps. ©2006 Nature Publishing Group. Cronin, A. D., & McMorran, B. (2006). Electron interferometry with nanogratings. Physical Review A - Atomic, Molecular, and Optical Physics , 74(6). Abstract: We present an electron interferometer based on near-field diffraction from two nanostructure gratings. Lau fringes are observed with an imaging detector, and revivals in the fringe visibility occur as the separation between gratings is increased from 0.2 to 2.7 mm. The oscillations in visibility depend predictably on the wavelength of incident electrons. This verifies that 5 keV electrons diffracted by nanostructures remain coherent after propagating farther than the Talbot length, and hence proves that a Talbot-Lau interferometer for electrons can be built with nanostructure gratings. Distorted fringes due to a phase object are used to demonstrate an application for this type of electron interferometer. © 2006 The American Physical Society. McMorran, B., Perreault, J. D., Savas, T. A., & Cronin, A. (2006). Diffraction of 0.5 keV electrons from free-standing transmission gratings. Ultramicroscopy , 106(4-5), 356-364. PMID: 16386372;Abstract: A nanostructured grating was used to diffract a low-energy (500 eV) electron beam, and the current transmitted into the zeroth diffraction order was greater than 5% of the incident beam current. This diffraction efficiency indicates that the 55-nm-wide grating bars absorb electrons but the 45-nm-wide slots between bars transmit electron de Broglie waves coherently. The diffraction patterns can be asymmetric, and can be explained by a model that incorporates an electrostatic potential energy for electrons within 20 nm of the grating structure calculated by the method of images. © 2005 Elsevier B.V. All rights reserved. Perreault, J. D., & Cronin, A. D. (2006). Measurement of atomic diffraction phases induced by material gratings. Physical Review A - Atomic, Molecular, and Optical Physics , 73(3). Abstract: Atom-surface interactions can significantly modify the intensity and phase of atom de Broglie waves diffracted by a silicon nitride grating. This affects the operation of a material grating as a coherent beam splitter. The phase shifts induced by diffraction are measured by comparing the relative phases of several interfering paths in a Mach-Zehnder Na atom interferometer formed by three material gratings. The values of the diffraction phases are consistent with a simple model which includes a van der Waals atom-surface interaction between the Na atoms and the silicon nitride grating bars. © 2006 The American Physical Society. Robertson-Tessi, M., Wild, R. J., Cronin, A. D., & Savas, T. (2006). Cleaning silicon nitride gratings with liquid immersion. Journal of Vacuum Science and Technology B: Microelectronics and Nanometer Structures , 24(3), 1409-1412. Abstract: We demonstrate a method for cleaning sodium deposits off nanofabricated silicon nitride gratings using liquid immersion without damaging the grating. The possibility of cleaning a grating successfully depends on its physical parameters and the type of liquid to be used. We present calculations on surface tension interactions between a liquid and the bars of the grating, and derive the maximum grating-bar span that will survive immersion. © 2006 American Vacuum Society. Cronin, A. D., & Perreault, J. D. (2005). De Broglie wave phase shifts induced by surfaces closer than 25 nm. Journal of Physics: Conference Series , 19(1), 48-55. Abstract: Four atom optics experiments that each serve to measure atom-surface interactions near nanofabricated gratings are presented here. In these experiments atoms in a beam travel within 25 nm of a material grating bar, and the analysis incorporates phase shifts for the atomic de Broglie waves due to interactions betwen Na atoms and silicon nitride surfaces. One atom diffraction experiment determines the van der Waals coeficient C 3 = 2.7 ± 0.8 meV nm 3, and one atom interferometer experiment determines C 3 = 4 ± 1 meV nm 3. The results of all four experiments are consistent with the Lifshitz prediction that is explicitly calculated here for Nasilicon nitride to be C 3 = 3.25 meV nm 3. The four atom optics experiments and review of van der Waals theory are complemented by similar experiments using electron beams and analysis of image-charge effects. © 2005 IOP Publishing Ltd.
Cronin, A., Perreault, J. D., & Cronin, A. D. (2005). Observation of atom wave phase shifts induced by van der Waals atom-surface interactions. Physical review letters , 95(13). The development of nanotechnology and atom optics relies on understanding how atoms behave and interact with their environment. Isolated atoms can exhibit wavelike (coherent) behavior with a corresponding de Broglie wavelength and phase which can be affected by nearby surfaces. Here an atom interferometer is used to measure the phase shift of Na atom waves induced by the walls of a 50 nm wide cavity. To our knowledge this is the first direct measurement of the de Broglie wave phase shift caused by atom-surface interactions. The magnitude of the phase shift is in agreement with that predicted by Lifshitz theory for a nonretarded van der Waals interaction. This experiment also demonstrates that atom waves can retain their coherence even when atom-surface distances are as small as 10 nm. Cronin, A., Uys, H., Perreault, J. D., & Cronin, A. D. (2005). Matter-wave decoherence due to a gas environment in an atom interferometer. Physical review letters , 95(15). Decoherence due to scattering from background gas particles is observed for the first time in a Mach-Zehnder atom interferometer, and compared with decoherence due to scattering photons. A single theory is shown to describe decoherence due to scattering either atoms or photons. Predictions from this theory are tested by experiments with different species of background gas, and also by experiments with different collimation restrictions on an atom beam interferometer. Gronniger, G., Barwick, B., Batelaan, H., Savas, T., Pritchard, D., & Cronin, A. (2005). Electron diffraction from free-standing, metal-coated transmission gratings. Applied Physics Letters , 87(12), 1-3. Abstract: Electron diffraction from a free-standing nanofabricated transmission grating was demonstrated, with energies ranging from 125 eV to 25 keV. Observation of 21 diffraction orders highlights the quality of the gratings. The image charge potential due to one electron was measured by rotating the grating. These gratings may pave the way to low-energy electron interferometry. © 2005 American Institute of Physics. Perreault, J. D., & Cronin, A. D. (2005). Analysis of a material phase shifting element in an atom interferometer. Journal of Physics: Conference Series , 19(1), 146-150. Abstract: The interaction of Na atoms with a surface was probed by inserting a nanofabricated material grating into one arm of an atom interferometer (IFM). This technique permits a direct measurement of the change in phase and coherence of matter waves as they pass within 25 nm of the grating bar surface. The practical concerns and challenges of making such a measurement are discussed here. Interference of spurious diffraction orders, IFM path overlap, and the partial obscuration of IFM beams are all important aspects of this experiment. The systematic effects that contribute to the measured phase shift and contrast are discussed. © 2005 IOP Publishing Ltd.
Perreault, J. D., & Cronin, A. D. (2005). Observation of atom wave phase shifts induced by van der Waals atom-surface interactions. Physical Review Letters , 95(13). Abstract: The development of nanotechnology and atom optics relies on understanding how atoms behave and interact with their environment. Isolated atoms can exhibit wavelike (coherent) behavior with a corresponding de Broglie wavelength and phase which can be affected by nearby surfaces. Here an atom interferometer is used to measure the phase shift of Na atom waves induced by the walls of a 50 nm wide cavity. To our knowledge this is the first direct measurement of the de Broglie wave phase shift caused by atom-surface interactions. The magnitude of the phase shift is in agreement with that predicted by Lifshitz theory for a nonretarded van der Waals interaction. This experiment also demonstrates that atom waves can retain their coherence even when atom-surface distances are as small as 10 nm. © 2005 The American Physical Society. Perreault, J. D., Cronin, A. D., & Savas, T. A. (2005). Using atomic diffraction of Na from material gratings to measure atom-surface interactions. Physical Review A - Atomic, Molecular, and Optical Physics , 71(5). Abstract: In atom optics a material structure is commonly regarded as an amplitude mask for atom waves. However, atomic diffraction patterns formed using material gratings indicate that material structures also operate as phase masks. In this study a well collimated beam of sodium atoms is used to illuminate a silicon nitride grating with a period of 100 nm. During passage through the grating slots atoms acquire a phase shift due to the van der Waals (vdW) interaction with the grating walls. As a result the relative intensities of the matter-wave diffraction peaks deviate from those expected for a purely absorbing grating. Thus a complex transmission function is required to explain the observed diffraction envelopes. An optics perspective to the theory of atomic diffraction from material gratings is put forth in the hopes of providing a more intuitive picture concerning the influence of the vdW potential. The van der Waals coefficient C3=2.7±0.8meVnm3 is determined by fitting a modified Fresnel optical theory to the experimental data. This value of C3 is consistent with a van der Waals interaction between atomic sodium and a silicon nitride surface. © 2005 The American Physical Society. Uys, H., Perreault, J. D., & Cronin, A. D. (2005). Matter-wave decoherence due to a gas environment in an atom interferometer. Physical Review Letters , 95(15). Abstract: Decoherence due to scattering from background gas particles is observed for the first time in a Mach-Zehnder atom interferometer, and compared with decoherence due to scattering photons. A single theory is shown to describe decoherence due to scattering either atoms or photons. Predictions from this theory are tested by experiments with different species of background gas, and also by experiments with different collimation restrictions on an atom beam interferometer. © 2005 The American Physical Society. Cronin, A. D., & Perreault, J. D. (2004). Phasor analysis of atom diffraction from a rotated material grating. Physical Review A - Atomic, Molecular, and Optical Physics , 70(4), 043607-1-043607-5. Abstract: The use of atom diffraction from a rotated material grating to detect an atom-surface interaction was discussed. A phasor diagram was developed to explain why there are no missing orders in atom diffraction form material gratings. It was demonstrated that atom-surface interactions combined with rotated grating structures can produce asymmetric diffraction patterns. It was suggested that by twisting a 100-nm period diffraction grating, atom-surface interactions can prevent missing orders and cause asymmetric diffraction patterns. Roberts, T. D., Cronin, A. D., Tiberg, M. V., & Pritchard, D. E. (2004). Dispersion Compensation for Atom Interferometry. Physical Review Letters , 92(6), 604051-604054. Abstract: A method to maintain high contrast of the interference pattern in an atom interferometer, while investigating large de Broglie wave phase shift, was discussed. An engineered conterphase was applied in the method to compensate the dependence of an interaction induced phase on the atoms' velocity. The method aided in precision measurements of atomic polarizability. It also aided in restoring contrast in any atom interferometer that was subject to velocity dependent phase shift. Cronin, A. D., Kokorowski, D. A., Roberts, T. D., & Pritchard, D. E. (2003). Controlled decoherence in an atom interferometer. Fortschritte der Physik , 51(4-5), 313-317. Abstract: We observe controlled decoherence in an atom interferometer, in which exposure to one environment changes the rate of decoherence in a subsequent environment. Roberts, T. D., Cronin, A. D., Kokorowski, D. A., & Pritchard, D. E. (2002). Glory oscillations in the index of refraction for matter waves. Physical Review Letters , 89(20), 2004061-2004064. PMID: 12443465;Abstract: A report on the glory oscillations in the index of refraction for matter waves was presented. The index of refraction for sodium de Broglie waves in gases of argon (Ar), krypton (Kr), xenon (Xe) and nitrogen over a wide range of sodium velocities was measured. The glory oscillations depended sensitively on the shape of the interatomic potential. The consistency of the scaled data for different Na-rare-gas potential was found to be similar. Gupta, S., Leanhardt, A. E., Cronin, A. D., & Pritchard, D. E. (2001). Coherent manipulation of atoms with standing light waves. Comptes Rendus de l'Academie des Sciences - Series IV: Physics, Astrophysics , 2(3), 479-495. Abstract: Coherent manipulation of atomic momentum states is the primary goal of atom optics, and the standing light wave with its associated stimulated light forces is the primary method of achieving this goal. A description of the standing wave as two counter-propagating beams of photons leads to a natural explanation of Bragg scattering. In contrast, Kapitza-Dirac scattering, atom lithography, and the matter-wave Talbot effect are more naturally treated by considering the standing light wave as a stationary field which acts as a periodic potential for the passing atoms or atomic waves. Selected experimental and theoretical results in the various qualitatively different regimes of the standing wave-atom interaction are reviewed, with special attention given to the physical differences underlying the various behaviors and the theoretical approximations used to treat them. © 2001 Académie des sciences/Éditions scientifiques et médicales Elsevier SAS. Kokorowski, D. A., Cronin, A. D., Roberts, T. D., & Pritchard, D. E. (2001). From single- to multiple-photon decoherence in an atom interferometer. Physical Review Letters , 86(11), 2191-2195. PMID: 11289887;Abstract: The decoherence of a spatially separated atomic superposition is measured. This superposition is the effect of spontaneous photon scattering. The decoherence rate constant is verified in the many-photon limit. As the number of scattered photon increases, a qualitative change in decoherence is observed as compared to separation. Pritchard, D. E., Cronin, A. D., Gupta, S., & Kokorowski, D. A. (2001). Atom optics: Old ideas, current technology, and new results. Annalen der Physik (Leipzig) , 10(1-2), 35-54. Abstract: Atom optics is the coherent manipulation of the atomic matter waves originally postulated by the developers of quantum mechanics. These pioneers also proposed the use of stimulated light forces to manipulate particles. These ideas have been combined with current technology to produce the field of atom optics. This, in turn, has shed new light on old quantum problems like the which way problem and the origins of quantum decoherence. Bose Einstein condensates combine naturally with atom optics to produce new results such as the coherent amplification of matter waves. This review of atom optics traces these connections. Cormode, D., Cronin, A., Holmgren, W., & Lorenzo, A. (2014, Fall). Use of forecasts to inform optimal curtailment strategies in scenarios with ramp rate rules. In IEEE Photovoltaics Specialists conference . Holmgren, W., Lorenzo, A., Cronin, A., Betterton, E., & Leuthold, M. (2014, Fall). Hybrid Forecasting techniques for solar power variability. In IEEE Photovoltaics Specialists conference . Cronin, A. D. (2014, June). Atom Interferometry measurements of atomic structure . APS DAMOP invited talk. Cronin, A. D., & Holmgren, W. (2014, February). Forecasting for high penetration solar at TEP . UVIG Tutorial and Workshop on variable generation forecasting appliations to power system planning and operations. Cronin, A. D., & Brooks, A. (2013, June). Effect of Soiling on PV system output . IEEE Photovoltaics Specialists conference. Tampa, FL. Cronin, A. D., & Brooks, A. (2013, June). Measurement of PV system inverter efficiencies . IEEE Photovoltaics Specialists conference. Tampa, FL. Cronin, A. D., & Cormode, D. (2013, June). Fluctuations from MW scale PV power plants . IEEE Photovoltaics Specialists conference. Tampa, FL. Cronin, A. D., & Sabatier, U. (2013, September). Atom Interferometry measurements of magic zero wavelengths . NOT PROVIDED. Toulouse France. Cronin, A. D. (2012, April). ASU-UA Solar Power collaboration meeting . ASU-UA Solar Power collaboration meeting. Phoenix, AZ. Cronin, A. D. (2012, May). Tour and Seminar . Solar Energy Power Association (SEPA). Cronin, A. D. (2012, November). Lecture and Panel Discussion on Solar Energy . Tucson Greater Leadership Council. Cronin, A. D., & Brooks, A. (2012, June). Evaluation of four geomembrane mounted PV systems for land reclamation in southern Arizona . IEEE Photovoltaics Specialists conference. Austin, TX. Cronin, A. D., & Brooks, A. (2012, May). One year of field studies of holographic planar concentrators at the Tucson Electric Power solar test yard . World Renewable Energy Forum (WREF) and American Solar Energy Society (ASES) meeting. Denver, CO.
Cronin, A. D., & Holmgren, W. (2012, June). Measurement of the first tune-out wavelength of K with an atom interferometer . Division of Atomic Molecular and Optical Physics. Anaheim, CA. Cronin, A. D., & Hromada, I. (2012, June). Polarizability measurements of alkali atoms using an atom interferometer . Division of Atomic Molecular and Optical Physics. Anaheim, CA. Cronin, A. D., & Jayadevan, V. (2012, May). Forecasting solar power intermittency using ground-based cloud imaging . World Renewable Energy Forum (WREF) and American Solar Energy Society (ASES) meeting. Denver, CO.
Cronin, A. D., & Kopp, E. (2012, June). I-V curves from 300 modules deployed over 5-years in Tucson . IEEE Photovoltaics Specialists conference. Austin, TX. Cronin, A. D., & Lonij, V. (2012, June). Analysis of 100 rooftop PV systems in the Tucson, AZ area . IEEE Photovoltaics Specialists conference. Austin, TX. Cronin, A. D., & Lonij, V. (2012, June). Improving forecasts of PV power output using real-time measurements of PV output of 100 residential PV installs . IEEE Photovoltaics Specialists conference. Austin, TX. Cronin, A. D., & Lonij, V. (2012, May). Field performance measurements of new and traditional PV technologies . World Renewable Energy Forum (WREF) and American Solar Energy Society (ASES) meeting. Denver, CO.
Cronin, A. D., & PL, . (2012, June). String-level (Kw-scale) IV curves from different types of PV modules under partial shade . IEEE Photovoltaics Specialists conference. Austin, TX. Cronin, A. D., & Russo, J. (2012, June). Characterization of diffuse anisotropic illumination effects to the output of bifacial and holographic planar concentrating photovoltaic panel configurations . IEEE Photovoltaics Specialists conference. Austin, TX. Cronin, A. D., & Tilghman, C. (2012, February). Utility and University collaborations on PV research . Solar Energy Power Association (SEPA). Cronin, A. D., & Trubko, R. (2012, June). Using a lens for matter waves in an atom interferometer . Division of Atomic Molecular and Optical Physics. Anaheim, CA. Cronin, A. (2011, June). Holographic CPV Field Tests at the Tucson Electric Power Solar Test Yard . IEEE Photovoltaics Specialists conference. Seattle, WA. Cronin, A. (2011, June). Performance Reviews From The Tucson Electric Power Solar Test Yard . IEEE Photovoltaics Specialists conference. Seattle, WA. Cronin, A. (2011, October). The Tucson Electric Power Solar Test Yard . APS Four corners conference. Tucson, AZ. Cronin, A. D. (2011, April). Photovoltaic Environmental Performance and Reliability (PEPER) progress report . 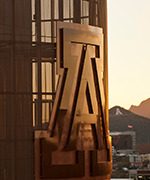 Science Foundation Arizona. Tempe, AZ. Cronin, A. D. (2011, March). Presentation . Tucson Electric Power Photovoltaic Incentive De-rating Chart workshop. Tucson AZ. Cronin, A. D. (2011, October). How much Energy Storage will we need? . Newman Workshop at the Arizona Corporation Commission (ACC). Phoenix, AZ. Cronin, A. D., & Goshal, K. (2011, June). On-Sun Performance Of A Novel Microcell Based HCPV System Based In Tuscon: Comparison With Conventional Systems . IEEE Photovoltaics Specialists conference. Seattle, WA. Cronin, A. D., & Holmgren, W. (2011, June). Polarizability measurements of the ground and metastable states of Sr, Yb, and Ba . APS Div. of Atomic Molecular and Optical Physics. Atlanta, GA.
Cronin, A. D., & Hromada, I. (2011, June). Atomic beam velocity measurements using phase choppers in an atom interferometer . APS Div. of Atomic Molecular and Optical Physics. Atlanta, GA.
Cronin, A. D., & Hromada, I. (2011, October). Polarizability measurements using an atom interferometer . APS Four corners conference. Tucson, AZ. Cronin, A. D., & Jayavan, V. (2011, October). Looking to the sky to predict Solar Power Intermittency . APS Four corners conference. Tucson, AZ. Cronin, A. D., & Klauss, C. (2011, June). Measured Impact of core electrons on Van der Waals potentials . APS Div. of Atomic Molecular and Optical Physics. Atlanta, GA.
Cronin, A. D., & Kopp, E. (2011, October). I-V Curves from Photovoltaic Modules Deployed in Tucson . APS Four corners conference. Tucson, AZ. Cronin, A. D., & Lewis, D. (2011, October). Outreach and Education on Photovoltaic Systems . APS Four corners conference. Tucson, AZ. Cronin, A. D., & Orsburn, S. (2011, October). Field Performance of Photovoltaic Systems in the Tucson Desert . APS Four corners conference. Tucson, AZ. Cronin, A. D., & Ronan, J. (2011, October). Matter Wave Deflection through a Light Prism . APS Four corners conference. Tucson, AZ. Cronin, A. D., & Trubko, R. (2011, October). Atom Interferometry Measurements of Static and Dynamic Polarizability . APS Four corners conference. Tucson, AZ. Cronin, A. D., Schmiedmayer, J., & Pritchard, D. E. (2001. Optics and interferometry with atoms and molecules(pp 1051-1129). Interference with atomic and molecular matter waves is a rich branch of atomic physics and quantum optics. It started with atom diffraction from crystal surfaces and the separated oscillatory fields technique used in atomic clocks. Atom interferometry is now reaching maturity as a powerful art with many applications in modern science. In this review the basic tools for coherent atom optics are described including diffraction by nanostructures and laser light, three-grating interferometers, and double wells on atom chips. Scientific advances in a broad range of fields that have resulted from the application of atom interferometers are reviewed. These are grouped in three categories: (i) fundamental quantum science, (ii) precision metrology, and (iii) atomic and molecular physics. Although some experiments with Bose-Einstein condensates are included, the focus of the review is on linear matter wave optics, i.e., phenomena where each single atom interferes with itself.